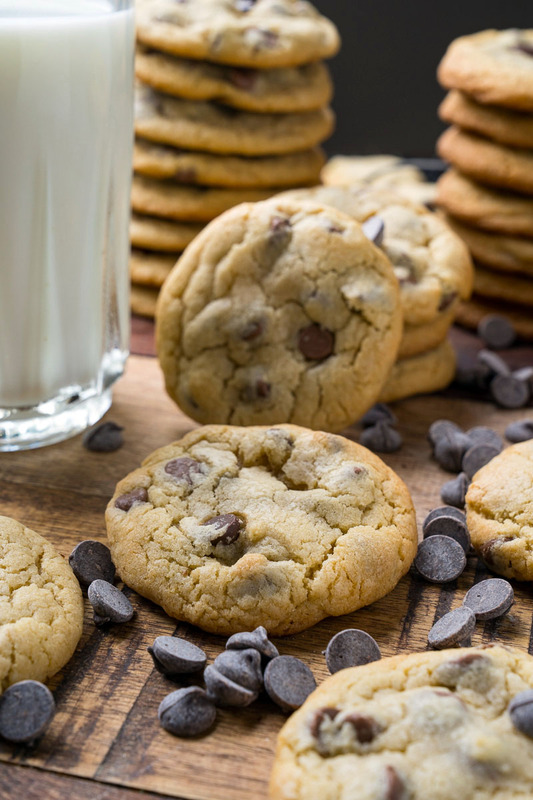 The ultimate, irresistible soft and chewy homemade chocolate chip cookies! With the Holidays upon us I am pulling out my holiday cookie recipes starting with chocolate chip cookies! 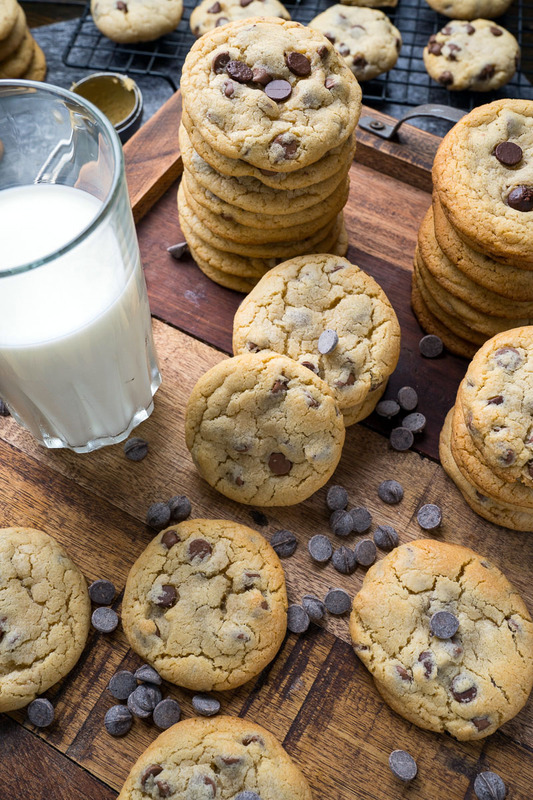 There may be some more interesting cookie options these days but it’s hard to resist the the classic chocolate chip cookie, especially fresh from the oven and still warm! They’re not just for Santa! 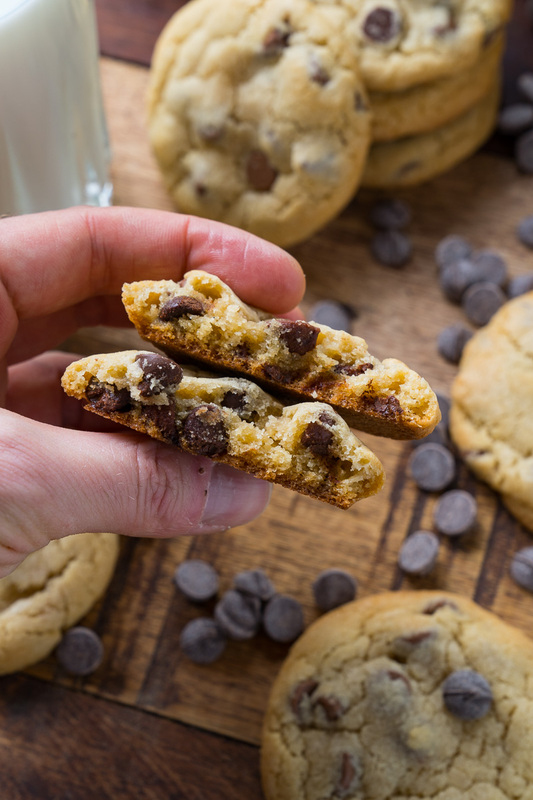 This is my best chocolate chip cookie recipe and it’s a pretty standard one that’s super easy make and all sorts of soft and chewy! All said and done, you can whip up a batch and be enjoying them is less than 30 minutes! 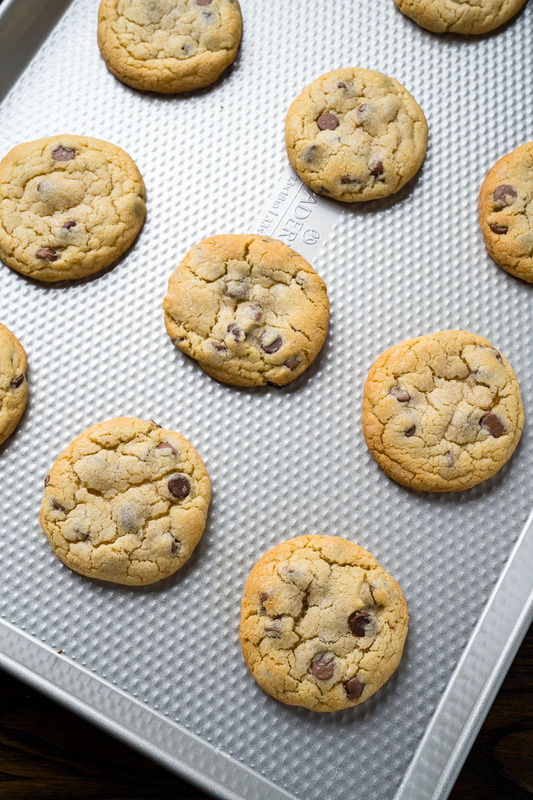 My holiday cookie platter just wouldn’t be complete without chocolate chip cookies! Feel free to add extras, like nuts, crumbled candy canes, etc. Use different kinds of chocolate! You can add a little extra flour to stop them from spreading out as much. Cream the butter and sugars before beating in the egg followed by the vanilla. Mix the flour, baking soda, baking powder and salt. Mix the flour mixture into the wet mixture before gently folding the chocolate chips. Scoop the dough, 1-2 tablespoons, at a time, form into balls and place them on baking sheets lined with parchment paper or a silicon baking mat, 2 inches apart from each other. Bake in a preheated 350F/180C oven until the just start to turn lightly golden brown along the edges, 8-10 minutes. Did you use extra flour? Yours look perfect, not flat at all. The cookies in the photographs were made with the recipe as written. Enjoy! I made mine exactly as written also and they were flat as pancakes. But they tasted good. 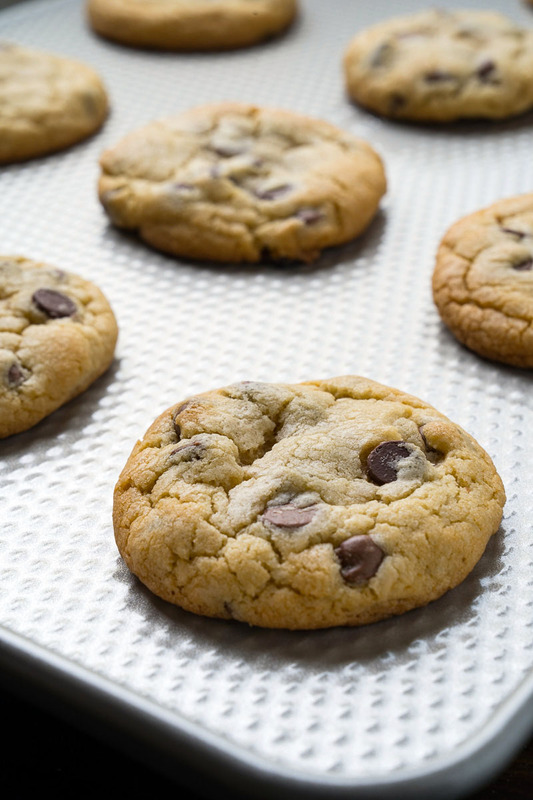 Try placing them in the fridge for around twenty minutes before baking, not only do the cookies come out uniformly sized; it also helps to stop them spreading like pancakes. Your recipes are awesome and I like the way your mind works 😊. Seems you never tire of thinking new ways to mix it up. So creative and yet easy for us regular grandma cooks. Thank you! Just made these cookies. Unfortunately they all flattened out. I’m suspecting too much butter or not enough flour. Its definitely got a bit of chewiness.